So this is the biggie?! #1 LSU going to Tuscaloosa to take on #1 Alabama. Here’s my brief assessment of the game. THE OFFENSES: From an offensive standpoint neither team does much that is very interesting. 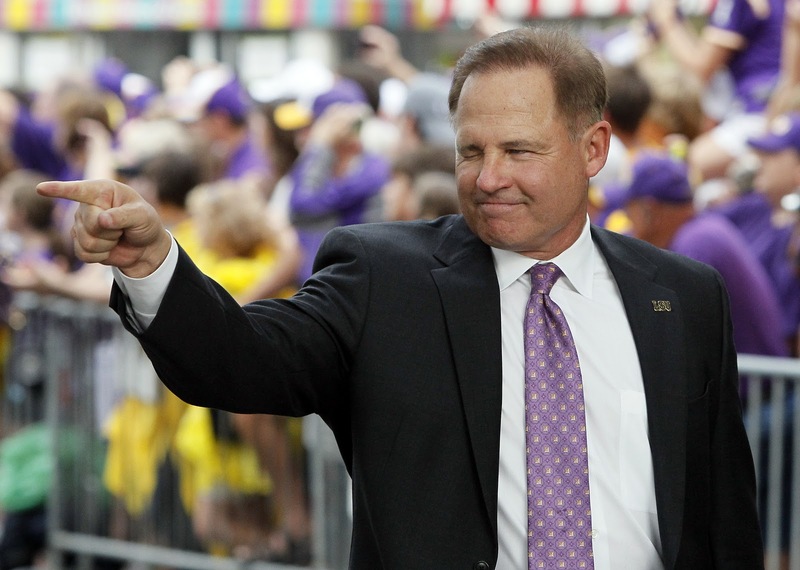 Alabama and Jim McElwain will tend to be a little more out-of-the-box than LSU. McElwain has utilized some Pistol sets in the past, most notably during their title chase in 2009. Despite some of the talk about how loaded Bama is with talent, I don’t see an extraordinary amount of it on the offensive side of the ball. LSU, with Jarrett Lee under center is a traditional 2-back offense that looks to run first with power and set up an efficient passing game from it. Of course, this comes as news to no one. It’s a traditional scheme but they’re very good in its execution and it’s operated with highly talented players. Both offenses are pretty vanilla, but there is talent at the skill positions: RB for Bama and RB/WR for LSU. THE DEFENSES: This is where each team excels. Saban has long been hailed a genius on this of the ball. Bama defense is experienced, returning 7 starters from last year’s unit and the numbers have them as the #1 defense in the land. LSU is not far behind in those rankings checking in at #4. LSU is also returning 7 starters on defense and has managed to defeat 2 of the best offenses in the game this season, Oregon and West Virginia. In both games they were outgained, and against WVU outright gashed for over 500 yards, but they won the turnvovers and won the games. I can’t imagine either of these defenses will find it very difficult to shut down the opposing offense. SPECIAL TEAMS: I feel like each team is complete opposites here, but I could very well be wrong. 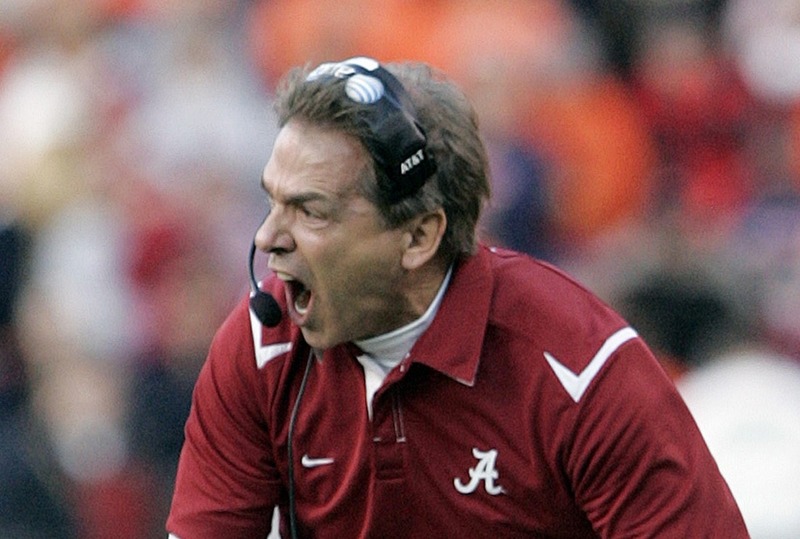 Saban is a detail nut, and his special teams are solid. Miles seems like a predictable old-school guy (just look at the offense) but yet will call for fake anythings at any given moment and get away with it whether they’re well-executed or not. VERDICT: LSU wins. For me the difference comes down to the same position for each team, quarterback. Jarrett Lee is likely the least talented player on either team, yet he plays at the most critical position and simply gets it done. He brings a lot of experience with him and he’s very smart with the ball, which is of utmost importance in games like this. AJ McCarron is talented, but much less experienced and has struggled against the best defense he saw this year, Penn State and fared worse against Florida’s Muschamp defense. John Chavis’ defense is great at excellent at creating confusion, it will look like they’re blitzing everyone, but they’ll drop 7 into coverage. This will present a big challenge for first-year starter McCarron. It will be close, but with Lee taking the snaps, and LSU’s defense creating confusion for McCarron, I see LSU winning.